ST. GEORGE — Liz Empey scored 28 points and the Dixie Lady Flyers kept their playoff hopes alive with a 56-45 home win against Pine View Thursday night at the Hangar. Empey, a senior post player averaging 12 points a game, had 16 free throws and 13 rebounds and was unstoppable in the important win for the defending state champions. The victory improved the Lady Flyers to 4-7 in region and kept them tied in the win column with Cedar and Canyon View, both of which also won Thursday night. Pine View, which played Dixie tough before falling by 13 to the Flyers a month ago, came out ready to play. 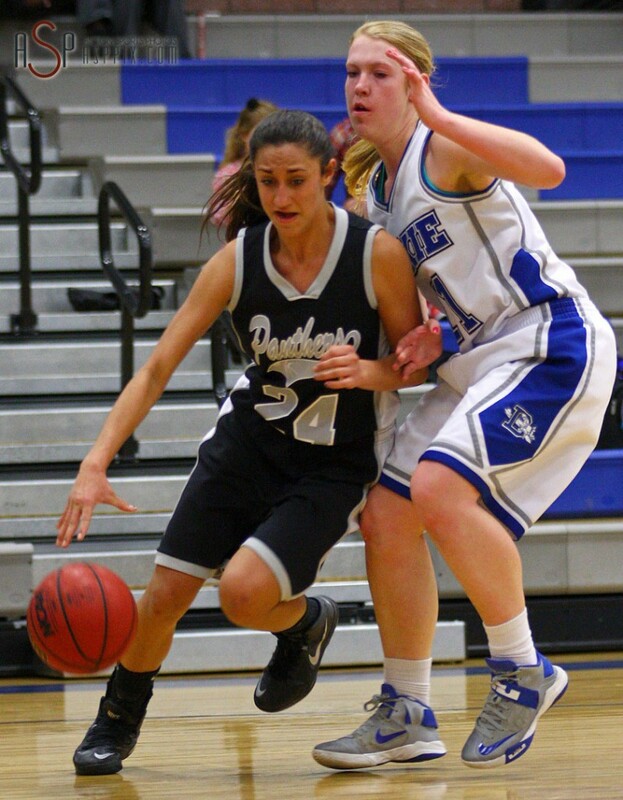 The Lady Panthers opened the game with a 3-pointer by Raelene Fiame and forged a six-point first quarter lead. Behind Tayvia Ah Quin, Pine View extended the advantage to 21-13 in the second quarter before the Flyers started chipping away. 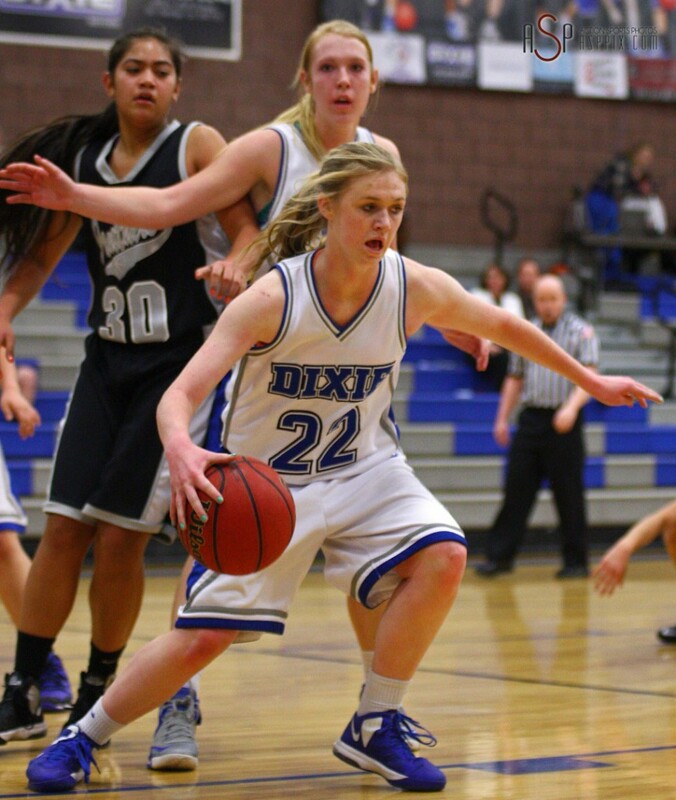 Dixie closed the first half on a 9-4 run to make it 25-22 at intermission. Empey and Alexa Estridge had three points each in the run. The Flyers took their first lead at 28-27 midway through the third quarter on a 10-footer by Empey and the game was nip and tuck for several minutes before Dixie took over for good late in the period. It was 34-32 when Dixie went on a 9-2 run, extending its lead to 43-34. Hadli Gledhill helped Estridge and Empey with that run. Pine View didn’t get closer than six the rest of the way. 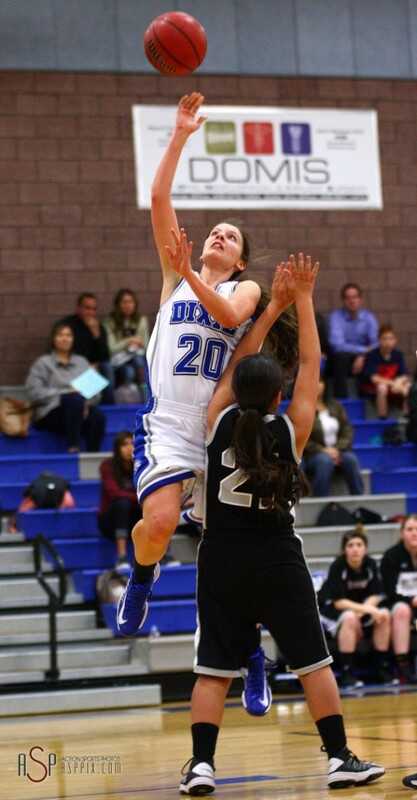 Dixie, 9-10 overall, has just a single game left, next Thursday at home against Snow Canyon. The Flyers need to beat SC and hope Cedar and CV both lose at least on of their two remaining games. 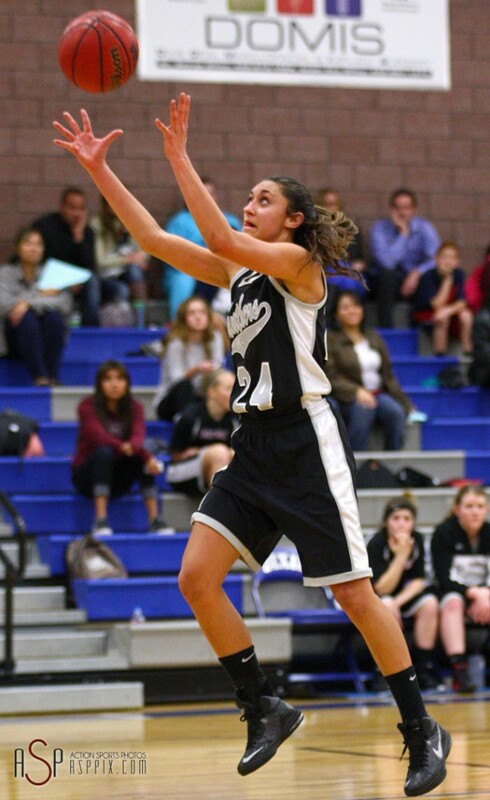 Pine View, 0-18 overall and 0-10 in region, plays at Canyon View Tuesday. The Panthers lost to CV in overtime last month. The Lady Tigers had a huge fourth quarter and have all but clinched second place in region and a first-round playoff bye if they can win their final region game. Down three going into the fourth quarter, Hurricane exploded for 23 points in the final stanza. Brooklyn Gubler, who has been spectacular all year for the Tigers, started the big period with a 3-pointer and Shania Hurst followed it with a fast-break basket. Melisha Sefita then hit a basket and Gubler nailed another 3-pointer and the rout was on. Hurricane, which got 13 points and 10 rebounds from Gubler, had more points in the fourth quarter (23) than it had in the other three quarters combined (21). London Steglich added 10 points and Sila Filo had 5 points and 11 rebounds. 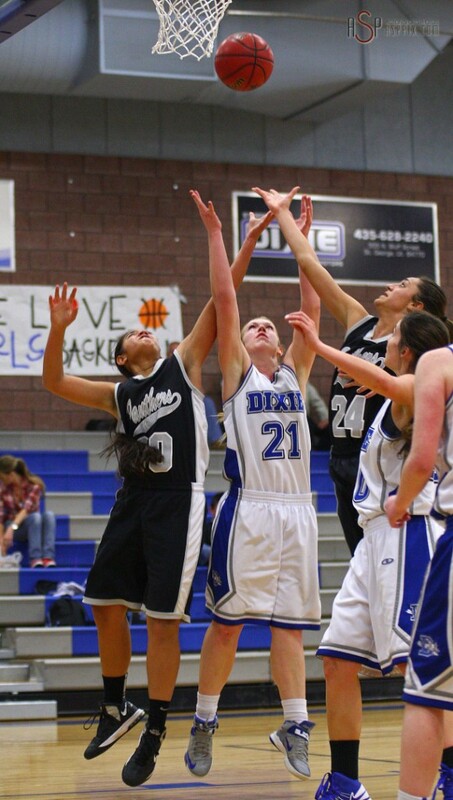 The Tigers, 13-7 overall and 8-3 in region, are a game and a half ahead of Snow Canyon for second place. The Tigers have one final region game, Tuesday at home against Cedar. Canyon View, 9-10 overall and 4-6 in region, has two region games left, Tuesday at home vs. Pine View and next Thursday at No. 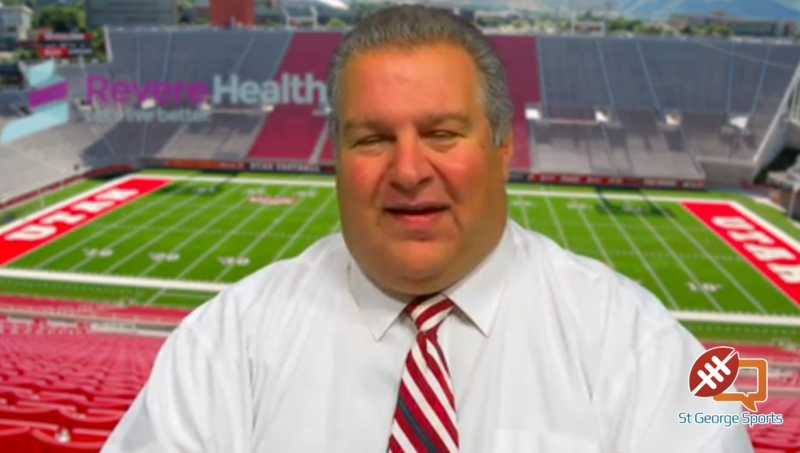 1 Desert Hills. Javlyn Weaver netted 18 points to lead Cedar to the crucial late-season win Thursday night at CHS. Snow Canyon had a 15-13 lead late in the first quarter, but Weaver and the Lady Reds got hot and scored seven straight to take the lead. Hannah Williams started the run with back to back baskets and McKenna Collins hit a 3-pointer to start the second quarter to complete the 7-0 streak. Cedar continued to play well, opening up a 25-16 edge before Snow Canyon finally got the offense going again. Madison Mooring scored to stop the bleeding and make it 25-18. Nikenna Durante had a steal and a 3-pointer to help the Lady Warriors cut it to 26-23 at the half. Cedar led most of the second half, with SC tying it a couple of times, but the Warriors never could get the lead back. Snow Canyon cut it to 39-37 with under three minutes to go and had a couple of 3-pointers just miss for the lead. But ultimately, free throws cost the Warriors the game. 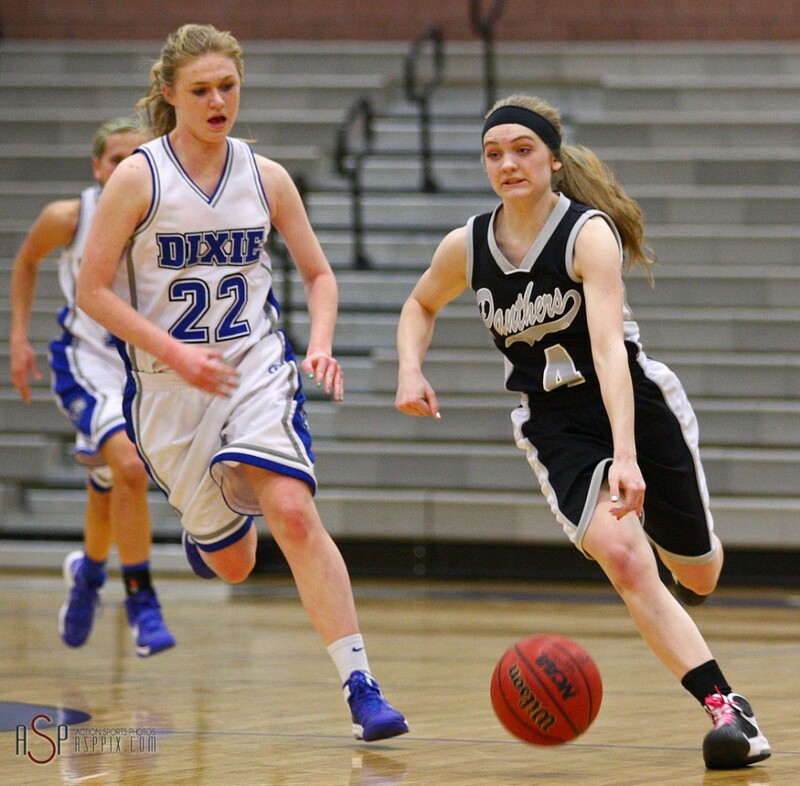 Cedar made 13 of 21 in the game, while Snow Canyon hit just 10 of 27. Just in the last minute of the game, Cedar was 7 for 10 and Snow Canyon was 2 for 6. In that last minute it went from 41-38 to the final margin of 48-40. 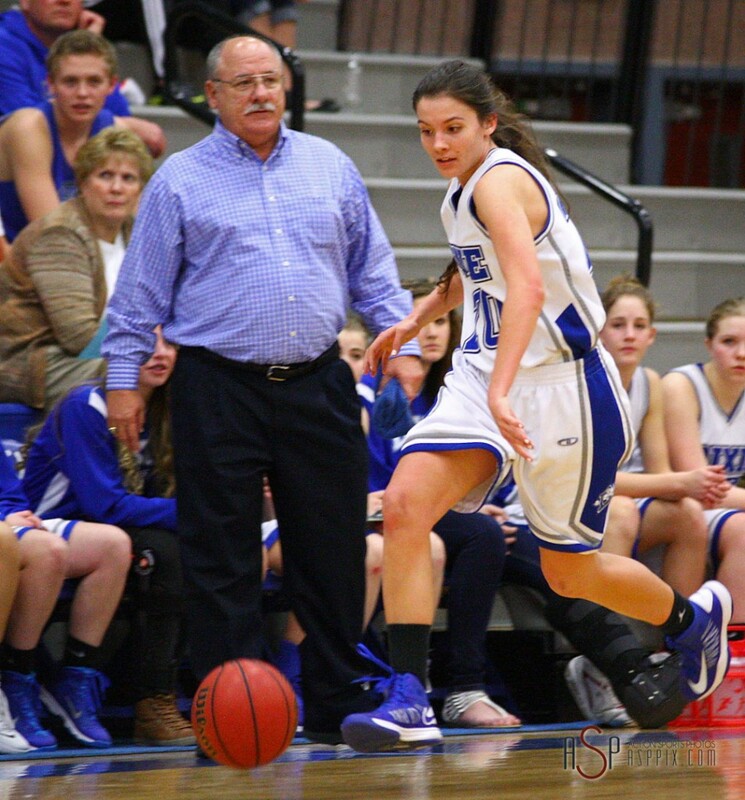 Cedar, which also got 13 points from Collins and 7 from Shay Bauman, improved to 10-10 overall and 4-6 in region. The Lady Reds play at Hurricane Tuesday and at Pine View Thursday next week. 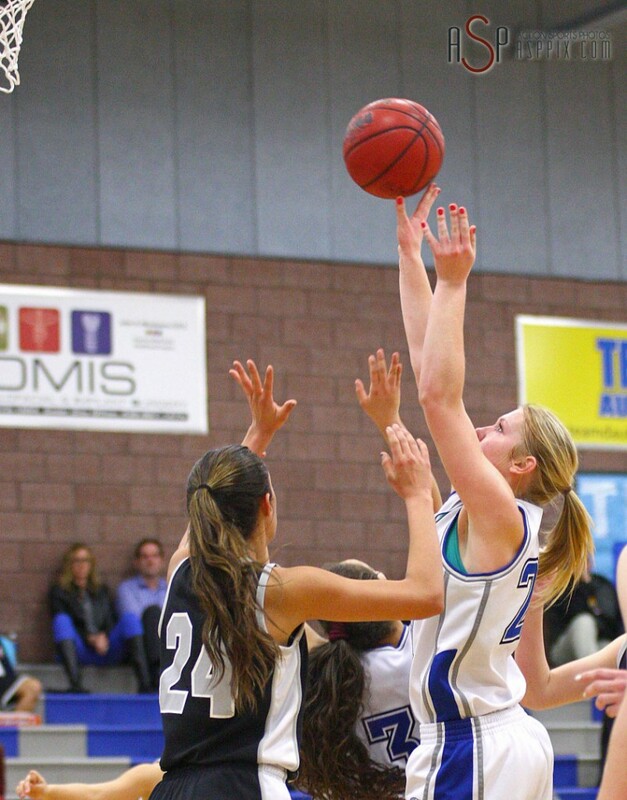 SC, which got 12 points from Mooring and 10 from Ashlee Nyborg, are now 10-8 overall and 6-4 in region. The Lady Warriors finish the regular season with a home game Tuesday against Desert Hills and a visit to Dixie Thursday. SC lost to both those teams the first time around this season.